Here it is, the official press release from Seventh Star Press announcing my inclusion into the fold. This is all very exiting, except ... I guess I'm gonna have to write another book now. ... any club that will accept me as a member. I am beyond delighted to announce that my fantasy series, The Heart of the Sisters, has found a new home with the fine, foolhardy folks at Seventh Star Press. The first novel, A Mage of None Magic, will see a re-release in the coming months as a second edition — one that will be freshly edited and feature NEW INTERIOR ILLUSTRATIONS! The second novel, The Book of Sediahm, is slated to be handed in November 2014, with release a short while after. I cannot tell you how thrilled I am to have been invited to this particular party, and to be counted alongside such terrific writer as Jackie Gamber, Stephen Zimmer, D. A. Adams, H. David Blalock, and all the others. As a freshly-minted Seventh Star Press author, expect to see me post lots more here and at my Facebook page about the goings-on involving this group. So, please, do take a moment to check them out and sample their wares. I'm telling you — these are the good guys, and very much worth the helping hand. As always, thanks to all for your continued enthusiasm and support. Blog Hop, the Saga Continues. Hey there! 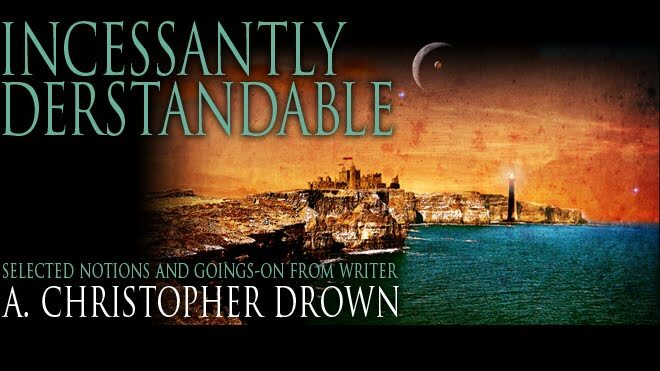 Welcome back to the exciting finale of my little contribution to the Great Galactic Blog Hop, where I answer the prescribed ten questions about my work and then scoot you along to some other terrific writers I'm sure you'll find every bit as mesmerizing. The book I recently completed and am currently shopping is called A Sister to Butterflies. The book I'm working on now is the follow-up to my 2009 novel, A Mage of None Magic. The working title for it is The Book of Sediahm. Butterflies examines the whys and wherefores of the making of a fairy godmother. Ever since I was little, I've been interested in all the things that happen in fairy tales just outside the frame — the practical, every day matters of life with which people would have to contend even in a magical setting. Heck, I dunno. High fantasy? Epic fantasy? Fantastical fantasy? Regardless, it's a really good story. When writing the main character, Abigail, who narrates Butterflies, I alternated between hearing Julie Andrew's voice and Angela Landsbury's. But to actually portray on screen? No idea. Probably someone fair and a little freckly, like Saoirse Ronan ala Hanna. A Sister to Butterflies chronicles the adventures that set a fairy godmother on her path, and the terrible mistakes that alter the destinies of those around her. The better part of three years, I'd say. I've been touting Butterflies as failing somewhere in the spectrum between Gregory Maguire’s Wicked and Alice Sebold’s The Lovely Bones. There were several inspirations, but mostly it simply demanded to be written and wouldn't leave me alone until it was done. Despite the cliché the fairy godmother has become, only a single character in all the familiar fables can truly claim one. What makes that person special? And what might compel so wondrous a being to spend a lifetime in silent vigil, waiting for the perfect moment to set that person’s world to rights? And the effervescent Robert J. Krog. Holy Hopping Blogs! It's the Next Big Thing! What's a blog hop? I'm glad you asked. In short, blog hopping provides a way to discover new authors — folks just off a reader's usual beaten path they might otherwise have never happened across. I'm a a native of Brunswick, Maine, and currently reside just outside of Memphis. 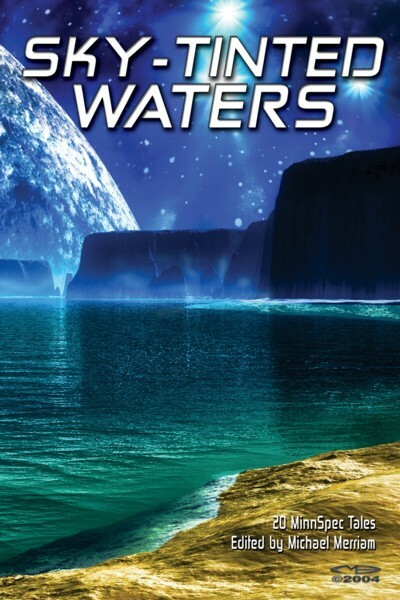 My work has appeared in Tales of the Unanticipated, Shots!, and Alien Skin magazines, and in such anthologies as Beacons of Tomorrow and Sky-Tinted Waters. My first book, A Mage of None Magic, won the 2010 Darrell Award for Best Novel. 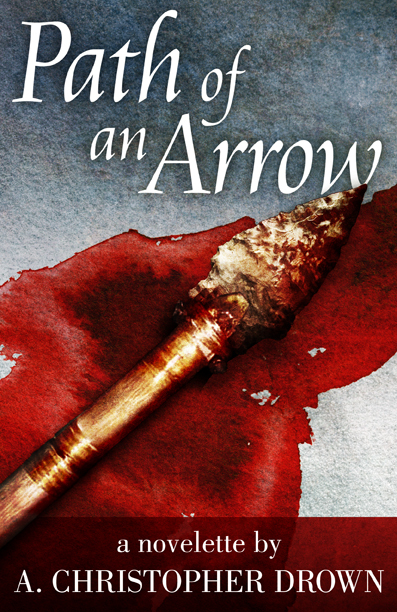 My story, Path of an Arrow, received the 2012 Darrell Award for Best Novella. 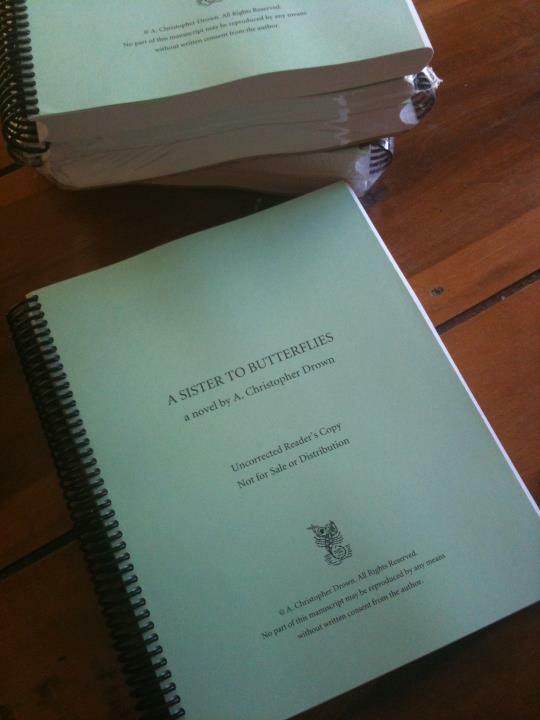 And I recently completed work on his second novel, A Sister to Butterflies. The second part of the blog hop involves ten questions which I'll answer, and then scoot you along to a handful of other authors as a means of paying things forward and keeping the blog hop hopping. Many thanks for stopping in. I hope you'll swing back by soon. I am very proud to announce my piece, "The Milkshake Story," has been named a finalist for the 2013 Darrell Award for Best Short Story. My deep appreciation goes to the jury for the honor of this recognition. "The Milkshake Story" can be found in the Sky-Tinted Waters anthology published by Sam's Dot Publishing. Congratulations to my fellow finalists Steve Bradshaw, Duane P. Craig, C.C. Finlay, Jonathan Janz, Robert J. Krog, Steven Shrewsbury, Rachel M. Taylor and Frank Tuttle. The Darrell Awards Banquet will Saturday, March 23, 2013 at the East Memphis Hilton as a part of MidSouthCon 31. Hope to see you there! "Thank you for your submission to [name of publisher]. We have reviewed your work and we have decided that we can’t publish your novel at this time. While we enjoyed your work, we don’t think we have the resources to make this book the success it should be." So, another one for the Rowling Receptacle. Saturday was pretty wonderful, for both weather and happenings. I spent it in Hot Springs, at the Fine Arts Center, participating in a series of writing workshops organized by Donna Dunnahoe and my pals at Imagicopter. Getting to hang out and swap ideas with brilliant and talented friends like Hilaire Playa, H. David Blalock, Jackie and Dan Gamber, and the great Bill Eakin, not to mention the several folks kind enough to come out and pay attention, made for one of the better weekends I've had in some time. Even if everyone did think my book pitch sucked. I still feel the ground rumbling beneath me from all the motorcycles. The best to those who dream and work. Yesterday I received my author's copy of Sky-Tinted Waters, the latest anthology from MinnSpec in which my yarn, "The Milkshake Story," appears. Nice looking book; Sam's Dot Publishing did a great job. But don't just take my word for it. Order a copy and see for yourself. My thanks to the MinnSpec folks for not minding my tenuous-at-best Minnesota ties and letting me into the club. And to Michael Merriam, for his mercifully minor yet incisively agile editing job — the few finishing touches the story needed to make it that much better. Hey, look! A blog entry! Yes, I know, keeping my blog up to date isn't going to be the thing on my tombstone for which others remember me most. And speaking of tombstones, part of the reason for my absence as of late has been a lingering and particularly depleting bout of pneumonia, from which I finally seem to be on the upswing. Truthfully, though, I have to admit that sometimes posting here feels a bit redundant given how quick and easy it is to update folks via other venues, such as Facebook — especially since this blog gets reposted there as well. As with most things, though, I'm sure there's a balance to be struck someplace, somewhere. The weekend before last had me at MidSouthCon, kinda. My illness kept me away from most of the panels for which I was scheduled, though I was able to attend the banquet Saturday night, where I'm proud to say my novella, Path of an Arrow, received the 2012 Darrell Award for Best Novella. On top of that, as is usually the case with such events, I got to see some friends I hadn't seen in a while and make a few new ones. In particular, a disgustingly, obnoxiously accomplished Marine and fellow writer, Janine Spendlove, and who is now an official hero of mine. Meanwhile, combing through A Sister to Butterflies continues. Plus, I'm gearing up for an appearance this summer at FandomFest in Louisville, as well as their shindig down in Birmingham this November. More soon. And not, like, four months soon. This past Saturday evening I met with the second of the two reading groups I'd snookered into taking the rough draft of my novel, A Sister to Butterflies, out for a spin. Unlike the first gathering of folks, who by design leaned a bit more toward a preference for fantasy and science fiction, this second group was comprised pretty much of straight and narrow mainstream readers — also by design, thinking as I do that the book has potential for a wider readership than the relatively niche audience of my first, A Mage of None Magic. And, I'm happy to post that I wasn't disappointed. The book seems to have been very well received, even unpolished as it is for the moment. The discussion was thoughtful, honest and in the end very encouraging. While everyone had different parts they liked more than others, everyone pretty much agreed on what needed fixing — thankfully, the same things both I and previous group had decided needed fixing as well — and that overall I'd concocted a really nice story. So, bolstered and buoyed, it's time to crack open the red felt tips and set myself to lopping. And afterward, hopefully, to fling this one out into the world. 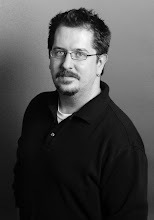 A. CHRISTOPHER DROWN is a native of Brunswick, Maine, who currently lives in Tennessee just outside of Memphis. He has published several short stories as well as a collection of poetry, and is also an award-winning graphic designer. His first novel, A Mage of None Magic, received the 2010 Darrell Award for Best Novel.